Over the past 10 years, growth in science, technology, engineering, and mathematics (STEM) jobs was three times greater than that of non-STEM jobs. STEM occupations are projected to grow by double the rate of non-STEM occupations – and many of the jobs outside the industry still demand STEM skills. Youth need a solid educational foundation in those skills as early as possible. 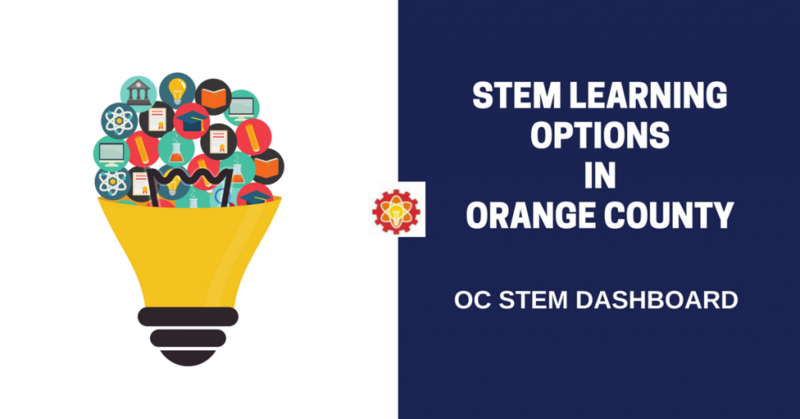 OC STEM has developed the OC STEM Dashboard with parents and students in mind. Use this tool to compare courses that are offered at different schools across Orange County. We encourage you to work with school and district administrators and teachers if you find educational gaps at your local campus, so all students are offered classes and programs to prepare them well for their futures. If you have any questions regarding the dashboard, please email us at info@ocstem.org.